People deal with sorrow in a variety of ways. Many of us tend to shut down for periods of time to allow ourselves to recover from painful experiences, sometimes creating a feeling that we are stuck in time, not only stagnant but completely without direction. 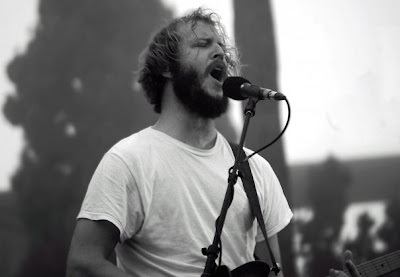 While many believed Justin Vernon's move deep into the north woods of Wisconsin after breakups with both his longtime girlfriend and previous band, DeYarmond Edison, were for similar reasons, he emerged after three long wintery months with a masterpiece recorded on antiquated recording equipment that would display a season's worth of rumination and what feels like an eternity's worth of emotion: For Emma, Forever Ago. His moniker, the fittingly misspelled french phrase meaning "good winter," has evolved since this album's release in 2008 to include 8 band members and a sophomore album that has awarded the group the Best New Artist award at the 2011 Grammys. While Bon Iver seems to be heading nowhere but into the spotlight, Vernon's intimacy within his music will be what hopefully keeps his band rooted in where they began almost five years ago - one man's struggle with sorrow and his desire to create something beautiful from it. Not only is his music painfully beautiful to listen to, he is an inspiration to keep growing as a person through hardship and remorse. The official site of Bon Iver, which allows the viewer to experience their music and videos, check tour dates and read up on the newest happenings of the band. A newer video of his first hit single, "Skinny Love," performed on The Colbert Report. This recording is a great example of the raw emotions within his freshmen album with some refined qualities from his second album. This is a newly released set performed with Sean Carey, with newer songs stripped down to two pianos from the band's orchestra. This is a perfect example of the range of Vernon's styles and voice, while providing a great array of songs to compare to Bon Iver's first album. Miranda Lambert was born November 10, 1983. She is known as an American country music artist who gained her fame on the 2003 season of Nashville Star where she finished in third place. Miranda made her debut in 2005 after the release of, "Me and Charlie Talking," which was her first single from her album Kerosene. Kerosene was certified Platinum in the United States. This album also contained three more singles, "Bring Me Down," "Kerosene," and "New Strings." All four songs mentioned so far all made the Top 40 hits on the Billboard Hot Country Song charts. Lambert continued her work and in 2007 managed three more singles to make the Top 20 hits, with "Gunpowder & Lead" being her first Top 10 country hit in July 2008. "Famous in a Small Town," and "More Like Her" were the other two that joined "Gunpowder & Lead" in the Top 20 hits. By September 2009, her third album, Revolution, was released. From that album, Miranda had two number one hits, "The House That Built Me," and "Heart Like Mine." "The House That Built Me," spent four weeks as number one. All of these things lead Lambert to be honored by the Grammy Awards, the Academy of Country Music Awards, and the Country Music Association Awards. In 2011, Miranda Lambert married a fellow country singer and best friend, Blake Shelton. This country girl is worth sharing because I find her an inspiration. She is successful, loved, happy, and doing something for a living that she loves to do along side the person she loves. But what I love most about Miranda Lambert is the music she writes. Country music is usually a genre that I enjoy listening to and connecting with but there is something about Miranda's music that allows me to fully experience it in an emotional way. 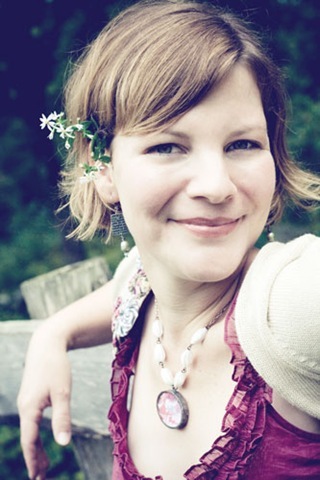 Her music tells stories that I am able to connect with and relate to allowing me to enjoy the music significantly. This is the official site of Miranda Lambert including a biography, lyrics, pictures, performance dates, and merchandise. This site provides news of Miranda, talks about her tours and her music. There is a gallery of pictures of her, her friends, her family, her band and performances. This site also includes a store to purchase merchandise. CMT.com provides a complete and overwhelming set of information, music videos, photo galleries, news, tour dates, discography, lyrics, awards and more of Miranda Lambert. Alvin Ailey was one of the greatest African American Modern Choreographers in the 1950's. He's accomplished many things over the years; from the time he began dance up until the time of his death. You see, Alvin and I are very alike in many ways. We both started dance at a young age with the persistence to make something out of our lives no matter the color of our skin. We also found a way to connect our love for dance with the strong christian morals. Although Ailey is gone, his legacy still carries on in the lives of many including myself! 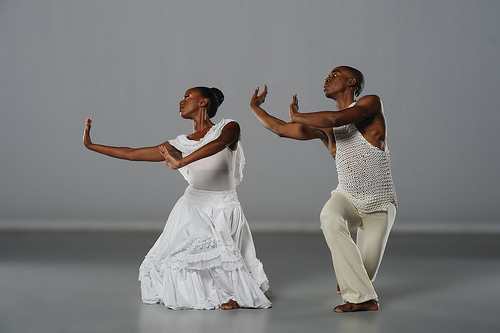 This FIRST link is actually the Alvin Ailey Dance Academy Website. 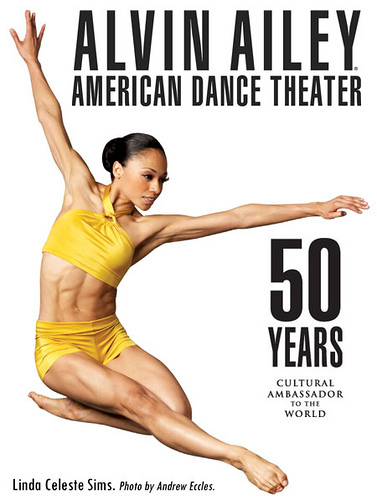 This is a great place to start if you want to know more information about Ailey himself, but also how the company began. On here you'll enjoy photos, videos, bios, different information about summer camps and even opportunities to join the dance school. This SECOND link is actually a more detailed version of who Alvin Ailey was and how he started this whole idea of dance. Most people don't know this, but as a dancer you always have to start with the basics of ballet. 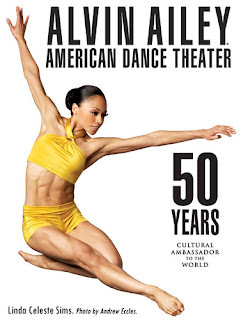 Even Ailey himself trained in ballet first. 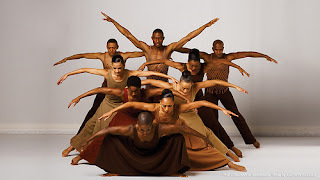 This THIRD link is actually a video from youtube of my favorite dance by Alvin Ailey. The famous piece was actually created the section of Revelations. The name of this piece is called Fix Me Jesus. The choreography that was created to the words of this song does something powerful to me on the inside. During this film I can see how a struggle of life was portrayed and the only way to endure and overcome that obstacle is by calling on Jesus to fix and change your heart. Katherine Hepburn was an actress whose strength, presence and gift of humor shined through in her many roles in movies, the theater and television. What stood out about her was that she radiated strength, perseverance and intelligence at a time when women’s roles in life, as well as on screen, were often circumscribed. She stood as a symbol, through her roles and her own life, of independence, character and sophistication. 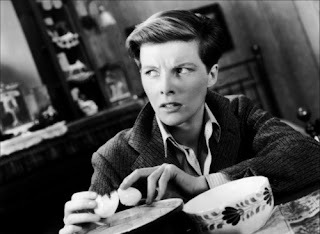 In her own life, Hepburn was often outspoken, and did not worry about social convention. Born in 1907, Hepburn launched her career on Broadway in her early 20’s. 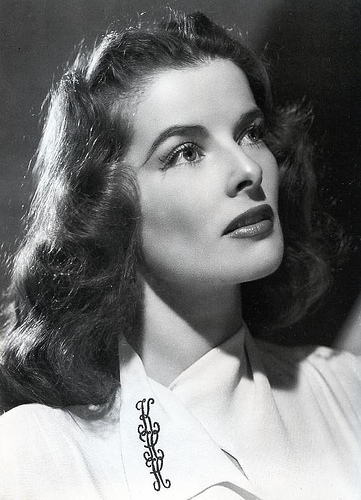 After some disappointing film failures, Hepburn created her own opportunities by buying out her studio contract and purchasing the rights to 1940’s “The Philadelphia Story” in which she showcased her comedic and dramatic talents. 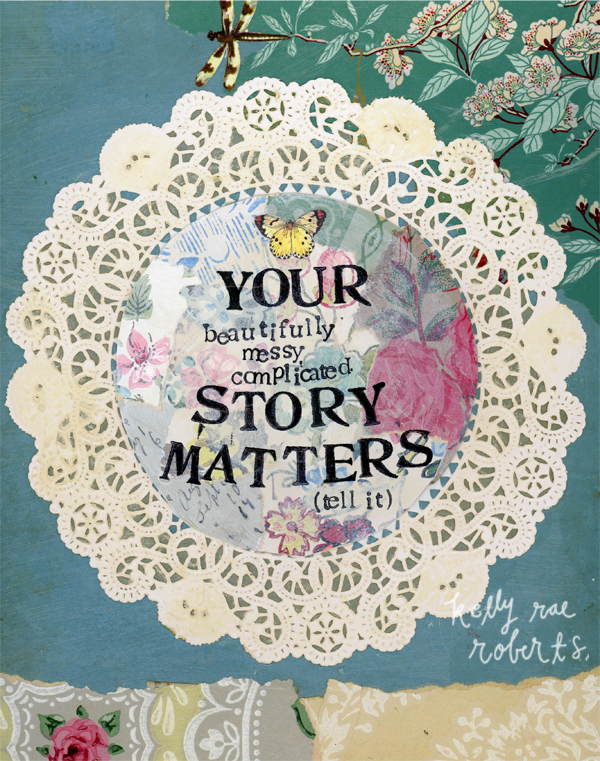 She showed her true mettle by taking the charge of her own fate and refusing to settle for anything but success. Her illustrious career lasted well into her 80’s, and she earned four Academy awards along the way. Some more of her best known movies are comedies “Bringing up Baby” and “Woman of the Year”, and dramas, “On Golden Pond” and “The Lion in Winter”. Her personal life was marked by a longtime love affair with fellow actor, Spencer Tracey. It was also determined by her forthright, original and witty observations and opinions. She was an unconventional woman who steered her own fate, defying social conventions in dress, outspokenness and marital choices. She stands as a terrific role model for any person who wishes to live life in an authentic manner and who is willing to take risks and to strive to reach their goals. This Link shares some of the work Frank Lloyd Wright has accomplished over the years. They have a section of each building he created as a hyper-link you can click on to view images of the model; as well as where each model is located. On this link they also give you a brief biography of Mr. Wright as an architect and how he began as well as him as a person and his life. This Link shares with us what the Frank Lloyd Wright foundation is and what they are able to offer as far as schooling and to those aspiring architects of the future. The website as well gives a background of Mr. Wright and his life's work. This Link gives us a brief description of who Frank Lloyd Wright is and about his work over the years. The brief description of him explains how he became a famous architect for the work he did. Frank Lloyd Wright is always the first thing that comes to my mind when i think of artist as well as art in general. The style of work and designs he was able to come up with for homes, business buildings and structures is beyond belief. Just one look at his pieces or models from a distance and you see the artistic attribute he must have possessed in order to create something so astonishing. Frank Lloyd Wright although a well known architect is not know by many artists and your average college internet browser. This is why i wanted to share some of his work and who he was to the class so that others can enjoy the pier talent and artistic ability he had created in each of his buildings. Jazz music has become somewhat of a forgotten art form as of late. When people listen to the popular music on the radio, they remain completely unaware of it's vital musical foundation. 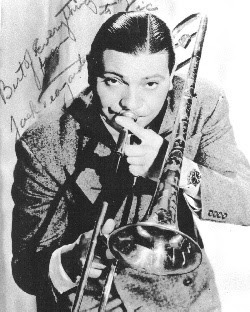 A great, but somewhat unknown, trombonist from Vernon, Texas named Jack Teagarden was a part of this movement, playing jazz music throughout the 1920s, 30s, 40s, 50s, and 60s and was often featured beside other famous jazz musicians such as Louis Armstrong. He also happens to be my great-grandfather. By returning to the roots of my family tree, I have been able to not only rediscover some of the more creative origins of my family, but also a taste for this classic genre of music. Through this blog, I hope to open others' eyes and ears to the genius that was Jack Teagarden. A site all about Jack as composed by other members of the Teagarden family. This site incorporates everything from videos, music, biography and even a store! This site focuses mainly on Jack's career as a jazz musician, including suggestions for songs, video clips, and books featuring Teagarden. You can only learn so much about a man by reading about his life and accomplishments. What better way to appreciate a musician than to listen to his music? This site features free songs as recorded by Jack Teagarden. Sam Beam, better known as Iron and Wine, is an indie-folk singer-songwriter whose simplistic acoustic musical arrangements, mixed with lyrics that create imagery and evoke emotion, have lead to an increase in the popularity of this music genre. For over seven years, while working as a community college cinema professor, music was Beam’s hobby. When a friend lent him a 4-track recorder Beam began recording songs he had wrote late at night, in a quiet and hushed tone, as his wife and children slept. He eventually made a demo tape of his recordings, which lead to a contract with the Seattle based Sub Pop Records. Beam's debut album in 2002, The Creek Drank the Cradle, was recorded entirely in his own home studio, with Beam as the songwriter, singer and producer. In that same year Beam recorded a cover of Such Great Heights, which in 2004 would become the song that exposed him to a much wider audience through its inclusion in the soundtrack and film, Garden State, and its use in a commercial for M&M’s. His second full-length album, Our Endless Numbered Days, was recorded in a professional studio and has more layers in its sound, while still maintaining Beam’s unique style of music. Beam's songs focus on lyrics which asks questions that are easy to relate to for all listeners and each of his albums has an overarching theme or message. 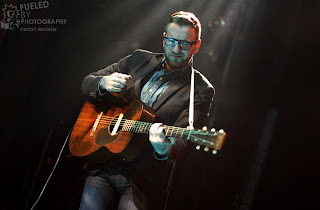 In Beam’s later album releases he has continued to add to the sound of his music, with his most recent release in January of 2011, Kiss Each other Clean, being more of a departure from his indie-folk beginnings. Beam’s music has been featured in television shows including Grey’s Anatomy, House, M.D., The OC, and Friday Night Lights, as well as in the film Twilight. Sam Beam has proven himself as a prolific artist with Iron and Wine and his soothing acoustic musical arrangements with profound lyrics that tell part of story, allowing the listener to find their own meaning and ending, should not be missed. More information on Iron and Wine and Sam Beam’s music can be found in the links below. This is the official website for Iron and Wine. The Community tab is a place for fans to post photos and videos, as well as post on discussion boards on a variety of topics, ranging from interpretations of lyrics to rumors of upcoming tour dates. Insight into Sam Beam of Iron and Wine is weaved into this two part interview that takes place in his home near Austin, Texas and in a recording studio in Chicago. This article discusses Beam's inclusion of many biblical characters and themes in his music. While not a Christian, Beam has a strong awareness of the Bible and the presence and place religion has in our culture. Banksy is the name of an anonymous artist based out of London that is mainly considered a Graffiti artist, however, creates various forms of art around the world. Banksy tests the culture norms and challenges the realm of art. His work tends to have strong political influence and being anonymous can express ultimate opinions which are generally very offensive. His works are so popular and have generated a lot of talk and attraction, that many celebrities have purchased his works such as Brad Pitt and Angelina Jolie. I like how bold and cleaver his pieces and placements are, having a lot of thought related to each piece making the view think deeply of meaning and challenge their own perceptions on the matter. This article tries to unmask the artist, Banksy, and povide an identity to the public. Banksy's homepage that shows some of his works of art and his beliefs. This site provides more detailed information on the artist and his works. Eddie Van Halen is one of the most skilled guitar players alive, if not of all time. EVH was born in the Netherlands, but began music lessons at a young age when his family moved to California. Although he took formal piano lessons, EVH taught himself how to play guitar. He even builds his own guitar, for example the infamous “Frankenstein”. Not only has he created an internationally known band with his brother, he has yet to be content. He is constantly trying to improve his skills and pump up his creativity. One of my favorite examples is when EVH used a Makita power drill to play his guitar, giving the song “Poundcake” a distinctive beginning (see video). His style is completely his own and you can pick out his guitar in any setting, even during Michael Jackson’s “Beat It”. He is my favorite artist and I have seen him live twice, which is even more amazing. In the last 30 years he has overcome divorce, oral cancer, losing a third of his tongue, three different lead singers, and a battle with drugs, and now he's touring once again with Van Halen, worldwide. Eddie (right) on May 6, 2012 at the Tacoma Dome. To his left is David Lee Roth, Van Halen's original lead singer. This is the music video for "Right Now" by Van Halen, which showcases EVH's immense piano skills. This is one of my favorite songs by Van Halen because Eddie plays both the lead guitar and piano in this song. http://www.van-halen.com/ The band’s official website which has information on Eddie and there past and current tours and albums. http://www.evhgear.com/ The brand created by Eddie for guitar enthusiasts. This shows how EVH is closely related with his skill, playing instruments. http://www.biography.com/people/eddie-van-halen-9542559 A brief biography of Eddie's life and the band's history. Abel Tesfaye (February 16, 1990), citizen of Canada, and of Ethiopian descent, is an RnB artist taking over the music blog scene. He has three self-produced mixtapes that have been released within the past year. 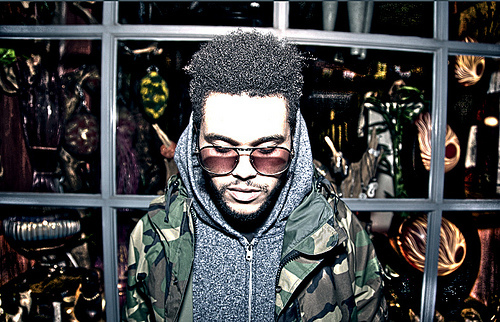 Under his stage name, The Weeknd, he has been uploading his music through YouTube since late 2010. His first album, House of Balloons, was critically acclaimed. First of a trilogy, he later followed his album with Thursday and Echoes of Silence. Since hitting the scene, he has received a number of praises from musical publications, including MTV, BET, Rolling Stone, XXL, and The Source. They have all dubbed The Weeknd the “Songbird of his Generation” and “best musical talent since Michael Jackson.” He recently performed at Coachella, a festival renowned for its cutting edge lineup and showcasing many top and up-and-coming acts. In his rise to fame, he has become BFFs with Drake and remixed a song with Lady Gaga, all within a year of first releasing House of Balloons. Number one album of 2011, House of Balloons, beat out Drake’s, Take Care album and Jay-Z and Kanye West’s, Watch the Throne, by Complex Magazine. The Weeknd is set to perform in European festivals in both Spain and Portugal, as well as the Wireless Festival in London. -Follow The Weeknd on Twitter here!!! 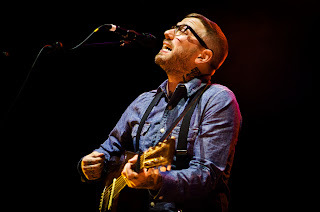 Hailing from St. Catharines, Ontario, Canada, Dallas Green has established himself in the music scene through his past band, Alexisonfire, which has been nominated for various awards. While part of that band, he began his solo side-project, City and Colour, for which he is the vocalist, guitarist, and main songwriter. His style is a mixture of acoustic folk music, and alternative rock. His lyrics and emotion behind his composing is what draws me towards liking his music. He has a very accessible sound, to which I think many people would enjoy, no matter what age. This has been shown by his multiple music awards, which he has won in various categories. The topics of his songs stretch further than just the typical ballad style, many of which have impacted me in some way. I share his music in hopes that he may have the same effect on others. -The band's official site. Fans can keep up on his official releases, and upcoming events through this website. -The band's official Facebook page. Fans can get more immediate updates than the official site, and get access to exclusive news through "liking" the page. -This page gives a brief history of the band, the various award nominations and wins that have been accumulated, and the discography and releases by the band. how to see without a camera." Dorothea Lange was an American photographer, best known for her influential work during the Great Depression-era. Lange captured the effects of the Depression through her photography and impressively influenced the development of documentary photography as well. She was born on May 26, 1985 in Hoboken, New Jersey; where she went through a rough childhood. Dorothea contracted polio at the age of 7 and was left with a limb. This disorder transformed her life, as she stated- "It formed me, guided me, instructed me, helped me and humiliated me. I've never gotten over it, and I am aware of the force and power of it”. Dorothea Lange studied her passion of photography at Columbia University and worked at a New York portrait studio with a famous portrait photographer, Arnold Genthe. Her independent personality led her to travel and move to San Francisco in 1918; where she further pursued her studio work in the 1920’s. 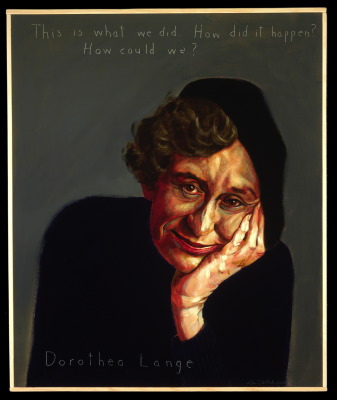 The social turmoil caused by the Great Depression steered Lange to the streets where she acquired some of her best work. 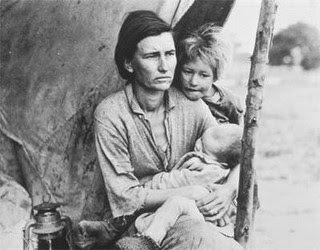 Her most recognized image, Migrant Mother, Nipoma, California, 1936 is now in the Library of Congress collection. Also, during World War II Lange documented the imprisonment of Japanese-Americans in camps and then went on to work along with women and members of minority groups in California shipyards. During 1950’s and 60’s, Lange traveled to Vietnam, Ireland, Pakistan and India; where she composed many photographic essays for Life magazine. Dorothea Lange was an influential figure, not just through her work but also as a human being. She was able to capture emotions and struggles of people who endured harsh living environments. 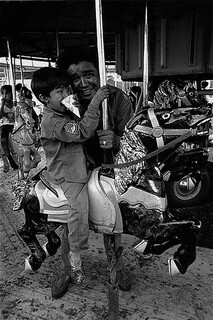 Her disadvantaged childhood impacted her work that reflects compassion and deep empathy for her subjects. Dorothea Lange captured and documented the social upheaval and silent sufferings of people, not only in America but around the world as well. http://www.myhero.com/go/hero.asp?hero=d_lange This website offers information on Lange's personal life, personality, travels, and her work. It also includes some of the famous quotes by Lange that reflect her thoughts about photography. 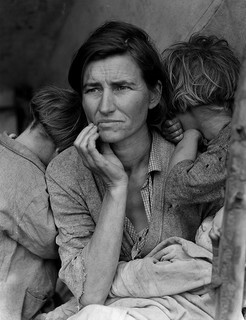 http://www.shorpy.com/dorothea-lange-photographs This Link will provide you with Lange's accomplished work. 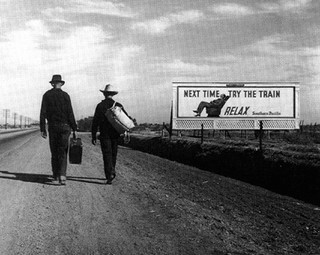 http://www.facebook.com/pages/Dorothea-Lange/108306589190438?sk=wiki This is a dedicated Facebook page to Dorothea Lange. Where you can view a summary of her biography and also participate by "liking" the page. 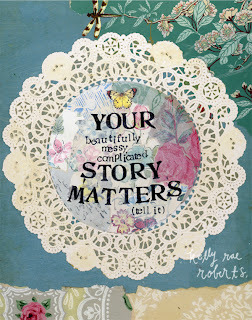 Kelly Rae Roberts is an established author and artist. She grew up in rural North Florida where she quickly experienced the joy and complexity of life in her small hometown. Like her mother and sister, she turned to creative outlets as a way to express her experience of life. She attended college at Florida State University and majored in social work. She began her career as a social worker but later decided to follow her heart’s true passion to become an artist. At the age of 30, after a lifetime ignoring her dream to become an artist, her dream became a reality. Her work is now collected and cherished worldwide. 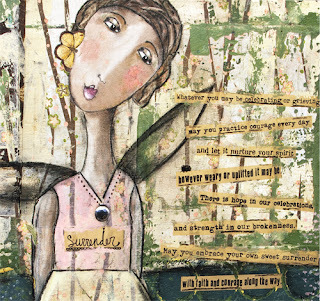 Her unique look of layered mixed-media includes acrylics, oils, collage and ink, and her designs are featured in many publications and art festivals. Her paintings especially resonate with me in a deep way because they make me feel at peace with the moment; it is tender, heartfelt, honest and passionate. She is a prime example of never giving up on your dreams, letting your heart guide you along in your life journey, and that anything is possible. Simply put, do what makes you happy and the rest will follow. - This is Kelly's homepage. 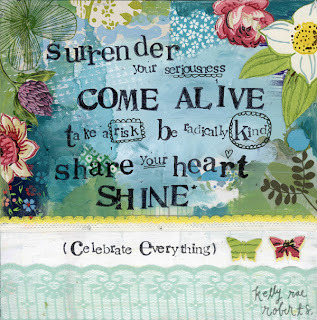 It displays her art portfolio, her own book, her personal blog and more! I definitely recommend taking a peak, particularly at her "About" section. 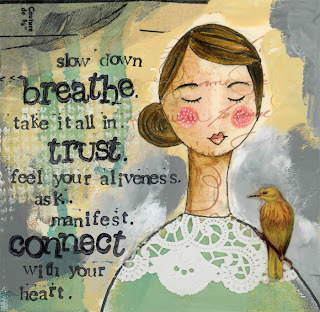 You will admire her simple quirks; her love for life is quite apparent on this webpage. - This is Kelly's Twitter Account! Follow her for updates on her life, upcoming dates, sneak peaks of her new work, and simple words/phrases we often need to be reminded of in life. - This is Kelly's Flickr Account. Here she posts all sorts of photos - everything from her upcoming jewelry line, paintings, her home and studio, family, self-portraits and life words. Florence + the Machine is a band made up of five members: Florence Welch, Isabella Summers, Robert Ackroyd, Christopher Lloyd Hayden, Rusty Bradshaw, Tom Monger, and Mark Saunders. Welch is the lead singer with the latter four members supplying all of the background music. 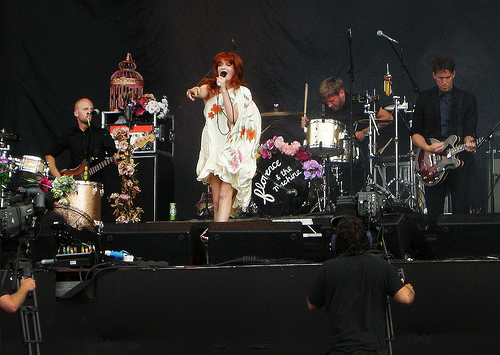 The band began when Welch and Summers were teenagers and became what the world knows as Florence + the Machine in 2007. Their songs portray an indie pop sound and since releasing their first album in 2009, they have flourished in popularity. The band was nominated for and won Best New Artist at the 53rd Annual Grammy Awards, among being nominated for 30+ other various awards. Florence + The Machine have a full and overtaking sound. Their music touches people on a level that I feel most bands are unable to. When I listen to their songs, I feel like I am able to lose myself in the bold melodies and powerful lyrics. Songs such as "Shake It Off" allow me to release built up tension that builds up throughout the day or if something is troubling me, I listen to that song and I feel like everything is going to be okay. Every performance I have seen of theirs is energetic and it is apparent that they are in love with performing and have a passion for their music. I feel that everyone should listen to them at least once and even if a person does not feel what I feel when I listen to them, he or she can learn something about what musical talent can be. The strength Welch has in her voice and the emotion she portrays is almost overwhelming at times, but it is enchanting at the same time. It is hard to not love every song they record. I think they are going to be in the public eye for a very long time, and will influence future artists for generations to come. 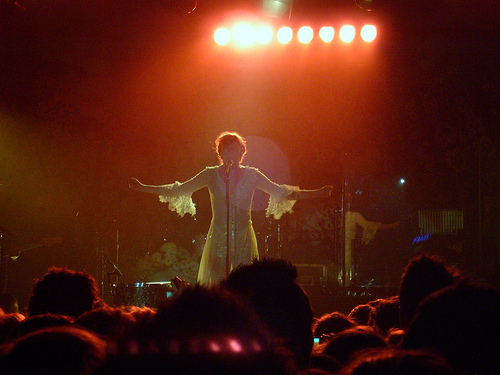 http://florenceandthemachine.net/ - This is the official website of Florence + the Machine. Here fans can find everything from news, a blog, videos, merchandise, and anything else they could want to know. http://www.myspace.com/florenceandthemachine - This is the official MySpace page where fans can listen to free music and watch the music videos, along with similar information on the band's official website. http://www.facebook.com/florenceandthemachine - On the band's official Facebook, fans can find more recent and continuous updates than on the other two pages. Included are reminders about performances, contests, and other information that might be found of interest. Brad Paisley is a traditional country music singer, songwriter, and musician. Paisley grew up in Glen Dale, West Virginia. He got his love for country music from his grandfather, Warren Jarvis, who gave him his first guitar at 8 years old and taught him how to play. When he was 10 years old, he performed for the first time in public at his church. When he was 12, he wrote his first song, "Born on Christmas Day". From that moment on, he performed everywhere, and everyone in his town was bound to make him a star. He graduated high school in 1991, studied at West Liberty University for 2 years, and then was awarded a full paid scholarship at Belmont University. Within a week of graduating from Belmont, he signed a songwriting contract with EMI Music Publishing. In 1999 he released his first album, entitled "Arista Nashville", and by 2001 it was certified platinum. In 2000 he won a CMA Horizon Award and the Academy of Country Music's best new male vocalist trophy. He also received his first Grammy Award nomination for Best New Artist. From the years 2002-2011, Paisley just kept getting better and better. He was awarded and nominated for many awards and he had 8 consecutive number one country hits. . As a lover of country music, Brad Paisley is one of my favorite artists. I think he is worth sharing because his talents are incredible. He has such pride for what he does and he loves entertaining. When you see him live in concert, you never want to leave. He is one of the best performers I have seen. He has come a long way in his life, starting out young, showing everybody how talented he was and how talented he has become. All in all, Brad Paisley is known as one of the greatest country singers, songwriters, and musician of all time. 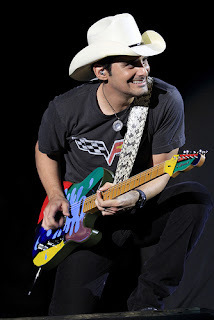 http://bradpaisley.com/tour : This is a website showing all of his tour dates, a biography, photos, and news about him. http://www.cmt.com/artists/az/paisley_brad/artist.jhtml : This website music videos of his songs, lyrics, photos of him, a biography, awards he has gotten, and more! 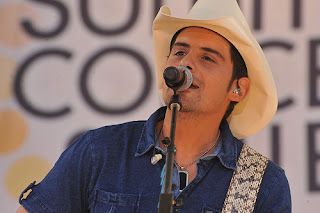 http://en.wikipedia.org/wiki/Brad_Paisley : This is website that has a full detailed biography of Paisley, tour dates, and his personal life information.